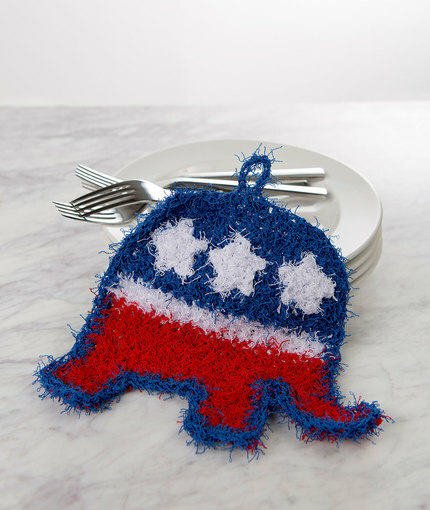 This clever elephant scrubby is great for showing your party affiliation! 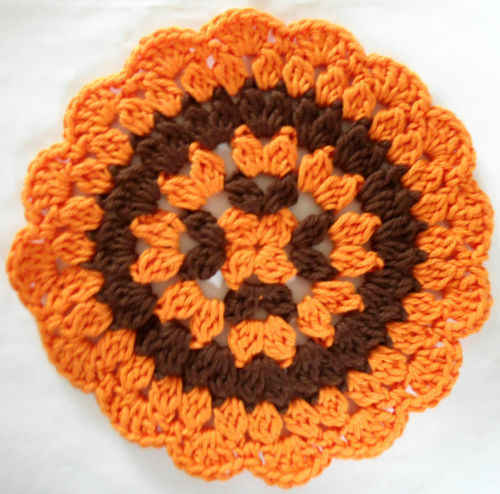 This crochet design features true patriotic American colors. 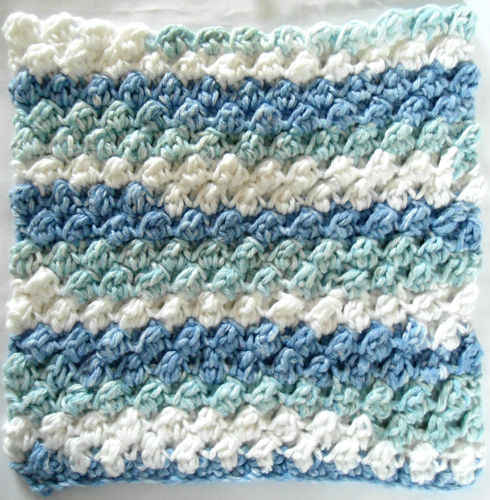 Scrubby measures 7¾” (19.5 cm) from back to trunk x 6½” (16.5 cm) long. Row 1 (wrong side): Sc in 2nd ch from hook and in each ch across, turn—13 sc. Rows 2–4: Ch 1, 2 sc in first st, sc in each st across to last sc, 2 sc in last st, turn—19 sc. Rows 6–9: Repeat Row 5; change to B at end of Row 9. Rows 10–12: Repeat Row 5; change to C at end of Row 12. 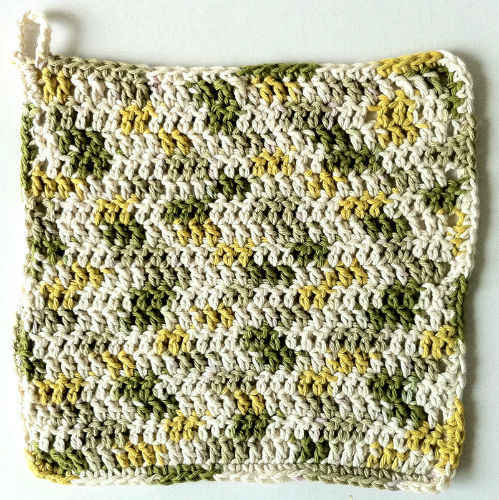 Rows 13–16: Repeat Row 5. Row 17: Ch 1, sc in first 3 sts; leave remaining sts unworked, turn—3 sc. Row 18: Repeat Row 5. Row 19: Ch 1, 2 sc in first st, sc2tog, turn. Row 20: Ch 1, sc2tog, 3 sc in last st, turn—4 sc. Row 21: Ch 1, 3 sc in first st, slip st in last 2 sts. Fasten off. Row 1 (wrong side): With wrong side of upper body facing, skip first st, join C with sc in next st, sc in each remaining st across, turn—15 sc. Do not fasten off. Row 1: Ch 1, sc in first 4 st, turn—4 sc. Row 1: With right side of Row 1 of lower body facing, skip first 7 sts, join C with sc in next st, sc in last 3 sts, turn—4 sc. around, working 3 sc in outer corners of legs and trunk; join with slip st in first slip st.